Although cryptocurrencies had previously been banished to the corners of the web, 2017 saw an explosion in both visibility and value. Bitcoin’s worth in particular – the very first cryptocurrency – has skyrocketed since its inception and open source release in 2009. And it seems Bitcoin is not the only one. There are now numerous cryptocurrencies springing up and rapidly rising in value. Litecoin and Etherium are just two examples. There have been cases of millionaires being made almost overnight – US rapper 50 Cent earned himself an accidental $8 million by allowing one of his albums to be bought using Bitcoin, for example. This raises some interesting questions: is it worth getting involved in this trend, and if so, how much could you earn? Is it any different to investing in stocks, or gambling in general, and what are the risks? Below are a few important things to know and consider regarding cryptocurrencies, their uses and ongoing value. Essentially, a cryptocurrency is simply a digital form of tender. The main difference (at the moment at least) is that they’re decentralised and not operated by any single bank. It's also digital only, and as a result can only be used to purchase products or services that support Bitcoin payments. There are currently a number of companies both large and small that accept Bitcoin, and the list is constantly growing. 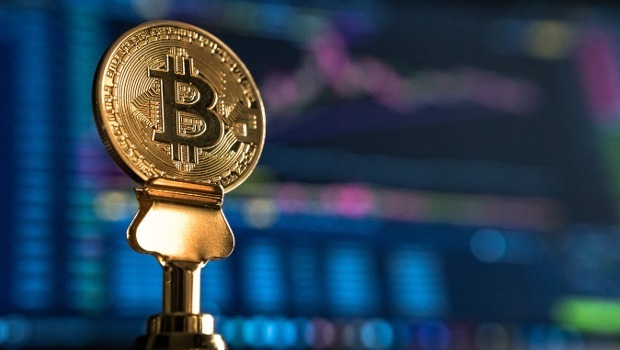 While it can be used to pay for items and services, its main value at the moment lies in the fact that one unit of Bitcoin is worth about €8,500. This means if you can get onboard with a new cryptocurrency, you could cash out with a massive fortune in a few months. Interestingly, a number of casinos are already floating or implementing the idea of cryptocurrencies as well. For the gaming world, this means there's no more middle man, but it also opens the way for huge increases in value (and another form of gambling) which could reap financial benefits for both casinos and punters. Some casinos already accept universal currencies like Ethereum or Bitcoin. While it might seem complicated initially, acquiring and using cryptocurrencies is actually quite accessible. There are a few things you'll need to be aware of though, and hopefully as these currencies become more common, managing them will become even easier too. The first thing you'll need is a wallet. You can get software wallets which require a password and login information to access, or a hardware wallet in the form of a physical USB key. Both of these are viable, and these are where you store the credentials for the Bitcoins you own, called ‘private keys’. These private keys are used to assign ownership and transactions using what's called a blockchain. Blockchains are essentially public ledgers that are run by a network of nodes running Bitcoin software. This means that much like cryptocurrencies themselves, blockchains are not owned or operated by any bank or individual, making them very transparent and hard to manipulate. Any transaction or sale you make with your cryptocurrency will be processed through the blockchain. Just like any potential investment, trading cryptocurrencies is not without risk. There are many commentators and economists drawing parallels with the dotcom bubble of the 90s. That means quick and lucky investors could come away with huge financial gains, but the markets could collapse at any time leaving you with worthless currency. That said, it's very likely that cryptocurrencies are going to be very prevalent in the future, even if they stabilise at more 'normal' values. One thing’s for sure, it's certainly worth getting acquainted with them and how they work, even if you don't plan on investing for this reason alone. If you are planning on investing though, there are lots of handy guides online that can help to get you started. As with any gamble, it's always good to be aware that there’s really no effective way to predict what will happen to the value of your currency, and to only invest what you can afford. As mentioned, there's another reason cryptocurrencies are of interest to gamers and casino goers – the fact that many casinos are already starting to introduce their own in-house digital currencies, or using variants of existing cryptocurrencies to enable fairer online gambling. Edgeless casino is just one example of this, which takes the open and transparent philosophy of the blockchain and applies it to online gaming. Whatever your interest in cryptocurrencies, one thing is certain: they're here to stay.